When is the UAE’s next big thunderstorm? 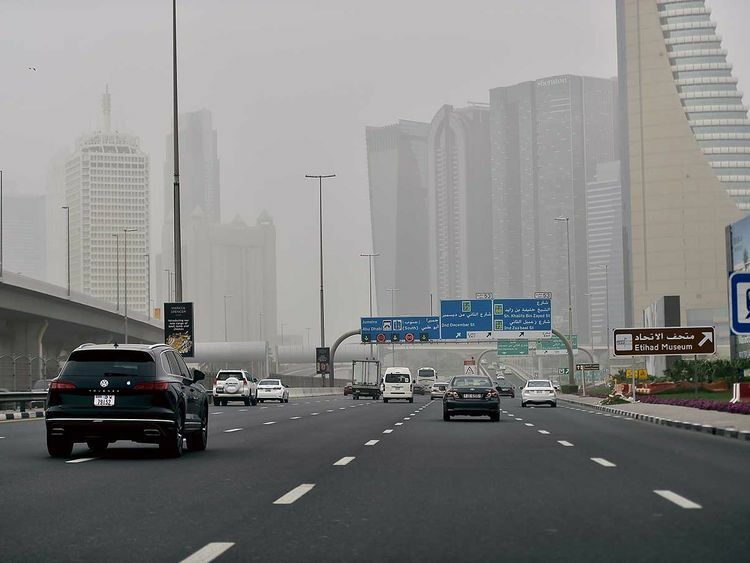 Dubai: Another day of unpredictable weather brought strong winds that kicked up clouds of dust and sand across the UAE on Monday. Visibility was brought down to 2,000 metres in the northern emirates and 1,700 metres in Suweihan and Liwa. The National Centre of Meteorology (NCM) also issued an orange alert for rough seas as 7 feet-high offshore waves affected the sea of the Arabian Gulf. “Dusty and cloudy conditions will cover most areas, with rainfall of different intensities, which may be accompanied with thunder at times over scattered areas,” said the NCM. Strong southeasterly to northwesterly winds will affect various parts of the country with a speed of 25- km/h, reaching up to 50 km/h at times. 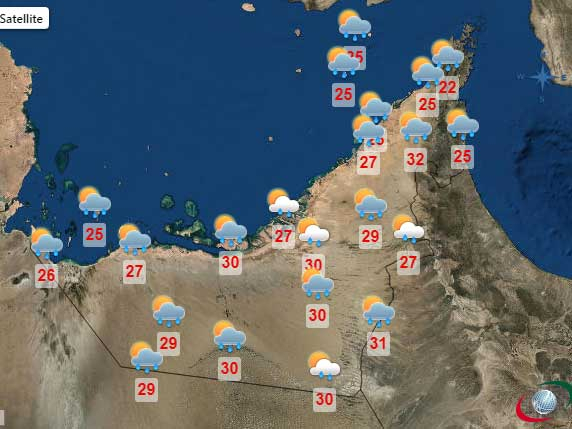 Light rain was recorded in Madinat Zayed at Al Dhafra area earlier in the morning, and is expected to spread over to the eastern region later in the day. Temperatures will remain slightly warmer before decreasing by Tuesday, with highs to range from 28-33 °C in coastal and island areas, 30-35 °C in internal areas and 19-23 °C in the mountain region. The weather bureau said the coolest spot in the UAE on Monday to have fallen in Jebel Jais, as temperatures fell to 10.2 °C at 3.45 am. The other top coldest areas on Monday morning included Jebel Mebreh stood at 11.7°C, in addition to Jebel Al Heben, Al FarFar and Qarnen that reached lows of 15.4 °C, 16.5 °C and 18.7 °C respectively.